Texting while driving involves all three types of distracted driving: cognitive, manual, and visual impairment – in all three instances every part of you is unfocused on the road. Texting while driving is six times more dangerous than driving while intoxicated. A 2013 AAA report shows 82% of adults ages 25-39 use their phone while driving. Texting while driving is leading cause of death among teen drivers. According to the National Highway Transportation Safety Administration, distracted driving caused over 1.6 million accidents in the US in 2012. The National Highway Traffic Safety Administration reports that over 3,000 distracted drivers crash and die every year. Texting while driving makes you 23 times more likely to get in a car accident than a non-distracted driver. The Virginia Tech Transportation Institute found the minimal amount of time your attention is taken away from the road while texting and driving is 5 seconds. A crash usually happens within an average of 3 seconds of a driver being distracted. 13% of drivers age 18-20 involved in car accidents admitted to using their mobile device at the time of the crash. Teens who text and drive spend 10% of their driving time outside of their lane. 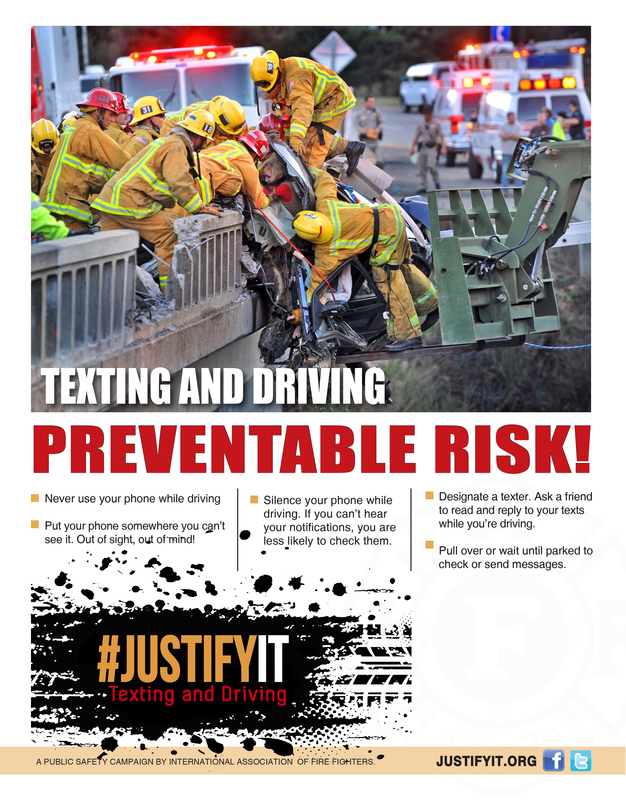 71% of teens and young adults say they have composed/sent text messages while driving. 78% of teens and young adults say they have read a text message while driving. Here is how to use the shift tradeing feature on the website. Also attached is a PDF of this document. The MSCOPFF Legislative Conference and Spring Mini Ed Seminar will be in Helena Jan 30th-Feb 1st. Anyone interested in attending, please contact an eboard member ASAP. P.S. This is a great way to start to get involved and to meet many members from around the state. Support our brothers fighting cancer! Today's the day to start for Montana Professional Firefighters!! Grow it! Like you stole it!! (Because some of you can't grow it... It's ok just try) For Firefighters it's often hard to ask for help from their own, but it's usually well understood we're here for them and their family like they have been for many of us.